The second benefit of installing a pull up bar in your room is that you will benefit from creating a lot of lean body mass in a relatively short period of time. Pull ups are a compound exercise due to the fact that you need more than one joint to perform them; similarly, you get to work out more than one muscle with each repetition. Most of the work during a standard pull up is focused on your lat muscles, yet at the same time, a secondary exercise is also given to your biceps, rhomboids, traps, chest and forearms. In this way, you can see how a pull up exercises a lot of muscles. 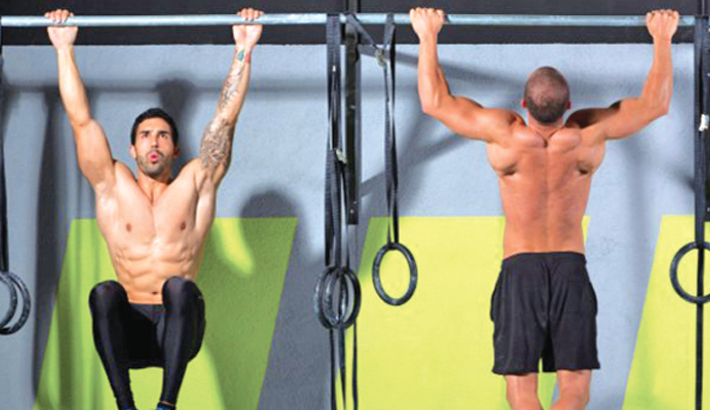 To get good at doing an effective pull up regimen, you do not need to aggressively fit in many all at the beginning. In this way, doing pull ups is a no-pressure exercise because if you can only do one or two at the beginning, that’s alright. Just come back to the exercise at numerous times during the day, and get in as many as you can comfortably do at each time. The good that will come of this is you will eventually build up the stamina to do more than just a few after some time. A pull up bar in your room is beneficial to get you to continually focus on exercising. Having an exercise bar in your own room is a powerful motivator to exercise since it is basically staring you in the face each time you are in your room. This first benefit of installing a pull up bar in your room is more a psychological one than anything else, yet it is very beneficial because you will immediately associate the bar with the drive or push to exercise. When exercise equipment is far away, as in a place that you don’t often bring yourself to, the tendency is for you to forget to exercise since you may push it to the back of your mind. Out of sight, out of mind, as they say. With the exercise equipment staring you in the face every time you’re in your room, you are less likely to avoid it.